Yankee benefits rally from Alex Kratz on Vimeo. “We are here because there is a disconnect between the world we live in of the South Bronx and the world of justice and equality,” said Lydia Lebron (see video above), pastor of the Resurrection United Methodist Church in the South Bronx, at a rally outside of Yankee Stadium last week. 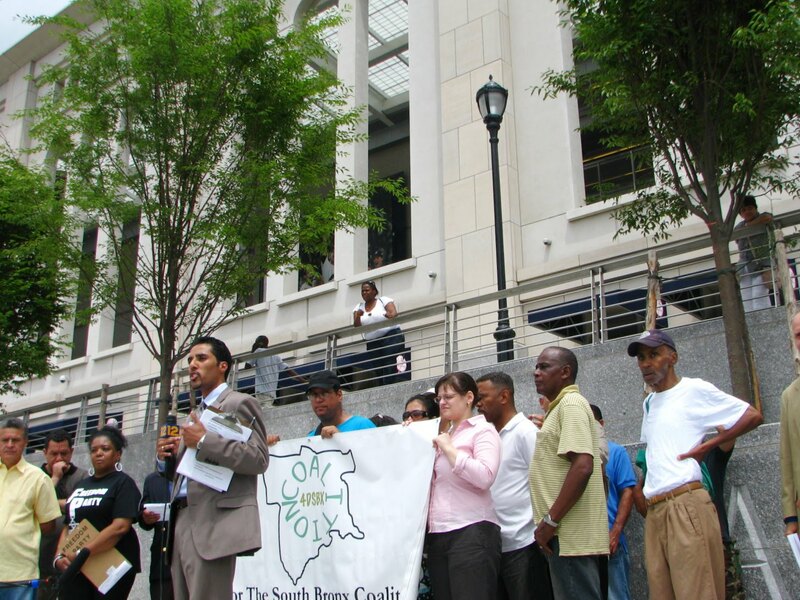 The Community Benefits Agreement, signed by Levine, former Borough President Adolfo Carrion, and Council members Maria Baez (who is no longer in office), Joel Rivera and Maria Del Carmen Arroyo in April 2006, said the Yankees would give 25% of stadium construction contracts to Bronx businesses, make sure 25% of construction jobs went to Bronxites, and award 25% of post-construction jobs to Bronxites. As part of the agreement, the Yankees also created a Community Benefits Fund, controlled by a volunteer board, that would give out $800,000 a year in grants to local community groups, $100,000 a year in equipment and merchandise, and 15,000 free game tickets.While some of these grants, merchandise and tickets have been distributed, activists at the rally said much of it remains unaccounted for. The Yankees did not immediately return calls and e-mails seeking comment and the Benefits Fund could not be reached by publication of this article. For Perez and others awaiting answers, the rally last week was the final straw. “Today is like, ‘Okay. This is it,’” Perez said. Representatives of the coalition and the Urban Justice Center plan to file a lawsuit if the Yankees do not provide the data requested in their seven-page letter within 30 days. Later, when he addressed the crowd, Jimenez questioned the corporation’s motives. “If the Yankees weren’t lying, they would give us information,” he said.